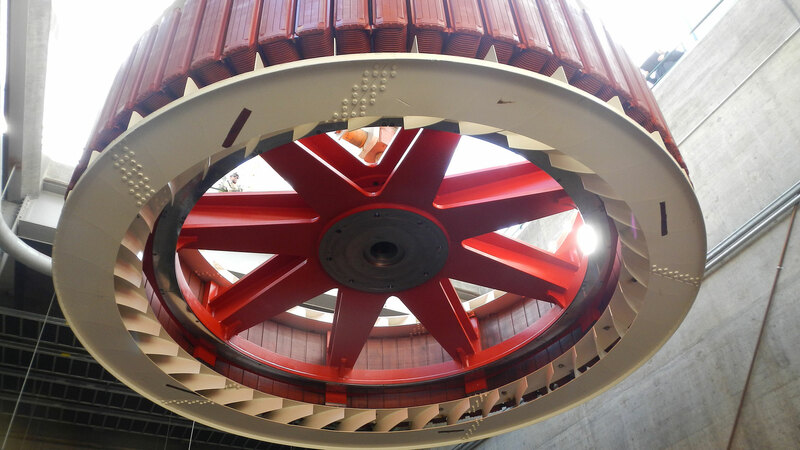 An intensively hands-on approach to project management made all the difference at Box Canyon Dam, where MacKay Sposito provided an on-site project manager to tackle challenging turbine upgrade work. Our effective communication skills proved to be one of the most important factors as we helped ensure all parties were on the same page and working together toward successful completion. MacKay Sposito was hired to oversee the rebuilding of Units #1 and #2. 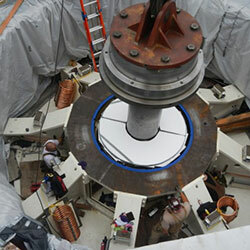 The reconstruction consisted of modifying the draft tube concrete for better flow hydraulics through the system, installation of three segments into the discharge ring, and a stainless steel welded overlay of the discharge ring. 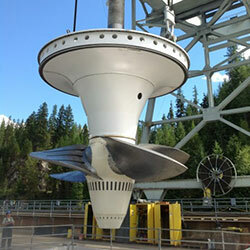 One of the main upgrades involved switching from a five-blade to four-blade runner to improve fish passage and increase generation capacity. 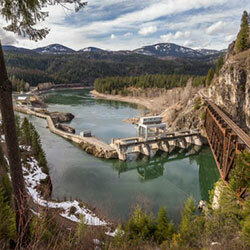 Other upgrades included replacing the governor and associated mechanical control equipment, refurbishing the rotor poles, and replacing the instrumentation and electrical controls from the generator to the control room. Global coordination was another challenge the project presented. Box Canyon is in a remote location in northeast Washington. The contractor’s on-site crew was answerable to an office in North Carolina. Meanwhile, the turbine parts were sourced from all over the world, including Slovenia, Austria, Korea, and Canada. Our on-site project manager reviewed all submittals, EDRs, RFIs, pay requests, schedules, and documentation of offsite inspections and also helped the District defend several equitable adjustment requests from the contractor. Most important, he established effective lines of communication between the various parties involved in the project and coordinated all activities between the contractor and the client. This project challenged our technical and management expertise, but as always we stretched ourselves and rose to the challenge.